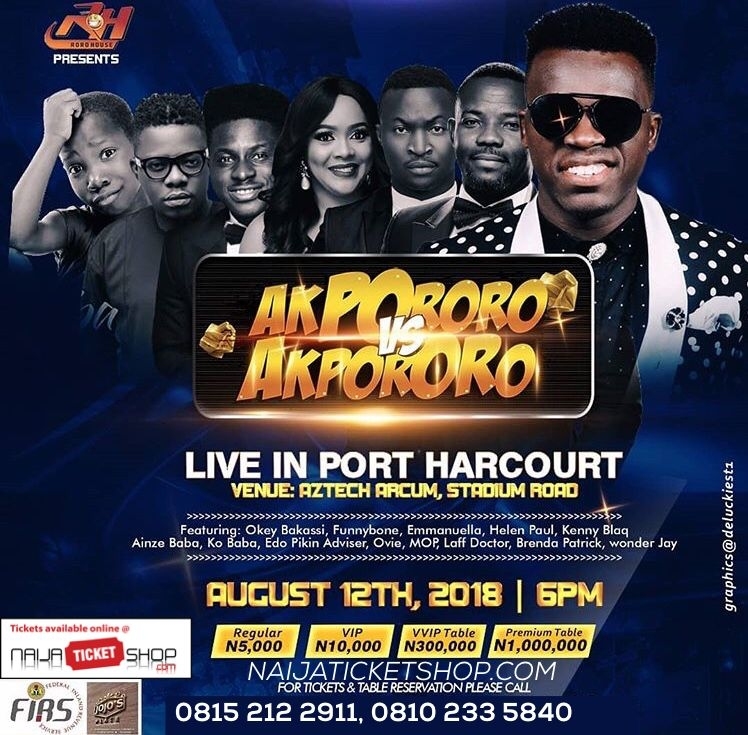 Click to enlarge Akpororo vs Akpororo Live in Port Harcourt! 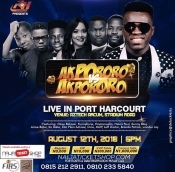 Featuring: Funny Bone, Helen Paul, Okey Bakassi, Kenny Blaq, Laff Doctor, Emmanuella, Ainze Baba, Ko Baba, Edo Pikin Adviser, Brenda Patrick, Ovie, MOP and Wonder Jay. Bullet Description: Definitely not to be missed!! !